Who should attend our change management training? This management workshop is ideal for leaders, managers, supervisors, and HR personnel who want to be effective change agents in their organization. It is also appropriate for any employee who wants to prepare for advancement within their organization or who wants to learn to better manage change personally and in their team. 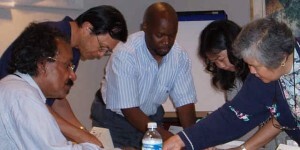 Why will our change management training benefit participants and your organization? Because they will understand the central dynamics of change and transition, and their impact on persons, groups and organizations. Because they will become aware of their own predictable style of reaction to change, its strengths and liabilities, and be able to identify those reactions when other people or groups exhibit them during times of transition—as well as how to manage them. Because they will experience, understand and become ready to use personal effectiveness and balance tools during times of change and transition. Because they will possess the type of communication approaches required during transition—one-on-one, with groups, and at an organizational level. Because they will see how to manage resistance to change and transition, while meeting the needs of employees and groups. Because they will examine what it takes to align individual with organizational needs during each of the three phases of a transition. Because they will develop personal awareness tools and assimilate an understanding of how to stay personally balanced during transition. Because they will leave with a “Tool Box” to use when facilitating change and transition—and a plan to do so. Our proven interpersonal effectiveness model (validated by the participation of over 445,000 people in 48 states and 17 countries) is applied to your leadership team’s situational needs. Customized for your situation. The leadership team will agree how to monitor personal effectiveness in their team setting. It will understand and establish how quality communication within the leadership team members influences willingness of all employees to invest in the organization’s mission and goals. Build operational trust between those whose success depends on each other. Participants will assess their natural leadership tendencies and what happens if their strengths become overextended. Designed to build alignment in the organization. Courageous, credible leaders will see how to communicate in a fashion that is congruent with the action desired on the part of their followers. Facilitated by an Executive Coach. Learn to build commitment, not merely compliance. 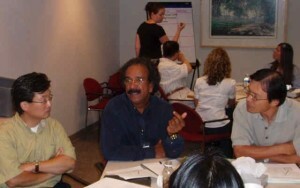 The facilitator can address techniques of communication clarification, together with confident conflict resolution.